In recent months Sri Lanka’s health sector has come under heavy scrutiny, in particular, the provision of pharmaceutical drugs and vaccines. Provision of high quality medicines in a cost effective manner is of utmost importance in ensuring the good health of a country’s population. The recent debate on these issues often points to the matter of corruption in the provision of pharmaceutical drugs within the health system. The high market value of imported drugs provides strong incentives for theft, corruption, and other unethical practices. 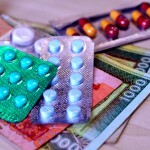 The WHO states that in some countries up to two thirds of all hospital medicines are “lost” through corruption and fraud. Numerous recent incidents, including post-vaccine deaths as well as drug shortages, have resulted in a loss of public faith in the government’s ability to deliver an efficient and quality health service which preserves the welfare of patients. What makes this issue even more relevant and important to the average consumer of the health care system, is the fact that households spend around 25% of their total health expenditure on medicines alone. This article will take a closer look at the key issues at hand, including the weaknesses of the existing policy and the gaps in the drug procurement and delivery processes, and also highlight the urgent policy reforms that are required. Unethical and fraudulent behavior in the health sector compromises fundamental human rights and creates barriers to the advancement of essential medical care. It also leads to dangerous and life-threatening treatments being administered, and could trigger the propagation of drug resistant strains of deadly diseases. Corruption in the health services industry comes with a high price tag – billions of dollars worldwide are lost due to theft, bribery, and extortion and distorting healthcare access, equity, and outcomes. The Good Governance for Medicine Framework of the World Health Organization (WHO) states that the impact of corruption on the pharmaceutical sector is three-fold; i.e. the health impact, economic impact, and the impact on the government’s image of trust. A commonly used definition of corruption is the abuse of public office for personal gain. However, the focus on public officials does not mean that private behavior is excluded from this definition. Corruption should also be understood to encompass actions by non-public individuals or entities that abet a public official’s abuse (e.g., through offering a bribe). Corruption affects all health systems; whether in the public sector or private sector, whether via embezzlement from health budgets or bribes extorted at the point of health service delivery. Currently, the Sri Lankan pharmaceutical market is regulated under the Cosmetics, Devices and Drugs (CDD) Act, No. 27 of 1980 and it is implemented through the Drug Regulatory Authority (DRA). CDD regulates: (a) Registration, (b) Manufacture, (c) Importation, (d) Transportation; (e) Sale (Retail and Wholesale); (f) Labelling; (g) Advertising; (h) Distribution of drug samples; (i) Testing, and (j) Disposal of outdated or spoilt drugs. Registration, selection, procurement, distribution and service delivery can be identified as the main stages of the drug procurement process. Registration and selection processes fall under the government regulatory frame work, with legislation which encompasses individuals and firms involved in the manufacture, import, sale, and purchase of drugs. The first step of drug registration is the evaluation of the manufacturer for compliance of Good Manufacturing Practices (GMP). Applications for registration of drugs are accepted only if the production facilities of the relevant manufacturer conform to required standards of GMP. Evaluation of foreign manufactures is done by evaluating their company profiles while local manufacturers are inspected by a team of officers attached to the Office of Medical Technology & Supplies and the National Drug Quality Assurance Laboratory (NDQAL). Quality, safety and efficacy are considered as the main criteria for registration. 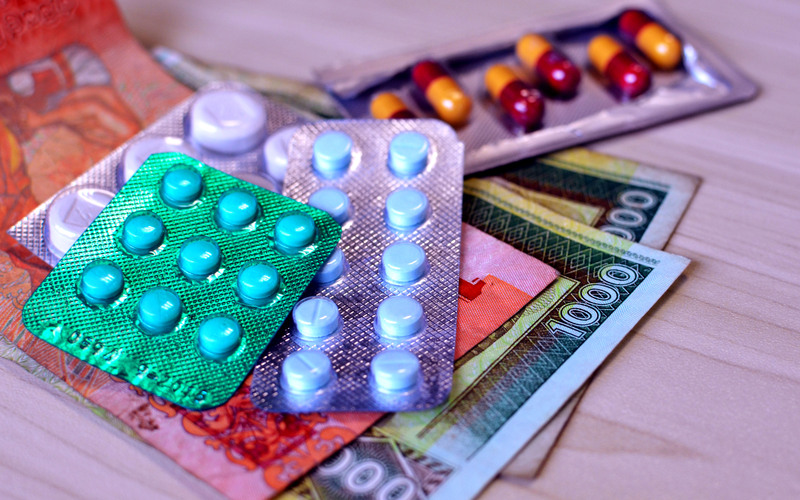 Although the Sri Lankan pharmaceutical market is supposed to be regulated by the CDD, it displays signs of an unregulated market; noticeably the availability of substandard and out dated drugs, the purchase of medicine without prescription, and the availability of counterfeit drugs. Corruption can take place mainly due to the loopholes in the existing policy and institutional framework. Currently, the authority that deal with import, manufacture, and distribution of drugs is born solely by the Director General of Health Services (DGHS) and this may seen as a major draw back of the current policy. Irregularities such as registering medicinal drug suppliers without the recommendation of the Drug Evaluation Sub-Committee, issuing of ‘no objection’ letters for drugs to be released by Customs, and by-passing the legal and quality assurance process, have been reported in several occasions emphasizing the need of establishing an independent body to cover these areas. Furthermore, around 8,000 varieties of drugs are imported in to Sri Lanka at present, and it is evident that various brands of one medicine are imported (e.g., over 50 brands of Paracetamol are imported). With the available limited lab facilities and human resource pool there are acute problems in checking the quality of all the drugs imported into the country. Apart from these issues, problems related to drug procurement tender procedures (i.e., awarding tender to the lowest bidder despite the quality of the drug), lack of human resources and funds, poor storage and lab facilities, and malpractices in legal document verifications have weakened the effectiveness of the CDD. It has been viewed that the weaknesses of pharmaceutical regulations are rooted mainly in the implementation and monitoring aspects. Further, failure to register all premises engaged in drug selling and the inability of preventing unqualified persons working as pharmacists are seen as the main performance weaknesses of the CDD. Recently, many incidents on substandard quality drugs were reported from various parts of the country and a few deaths were also attributed to inferior drug quality. Numerous reports were published highlighting the lack of credibility in the drugs’ safety and efficacy. For instance – “Rubella: Lanka’s dilemma”, and “300 patients die due to faulty drug policy”. This created a public outcry on the transparency and possible corruption risks in providing medicinal drugs by the government. Some opposition political parties and health sector trade unions strongly criticized the Health Minister and other top Health Ministry over the supply of substandard and outdated medicines to government hospitals. Consequently, the Ministry of Health took steps to ban five Indian drug companies for supplying low quality drugs. These companies had supplied medicinal drugs to the value of about Rs. 1 billion annually. Under these circumstances, access to essential medicines of good quality has become a debatable issue. It is no doubt the responsibility of the government to ensure that pharmaceutical systems are institutionally sound and transparent, and appropriate mechanisms are in place to reduce the likelihood of corruption. Assessing the vulnerability of corruption risks and identifying the stress points that are less transparent and vulnerable to corruption is of great importance in the process of ensuring an efficient health system. With the recent issues in Sri Lanka’s pharmaceutical market it is high time to address the policy and institutional weaknesses of the CDD. This can be done by either amending the existing policy or by introducing a new national policy for medicinal drugs. • Regulate advertising and promotion of medicinal drugs and devices, cosmetics and functional foods. Further, the proposed NMDP also intends to cover the selection of essential medicines, affordability and equitable access, financing options, supply systems and donations, regulations and quality assurance, quality use of medicine, etc. NMDP, which is based on the concept of Essential Medicines, has some key features that will address the weaknesses in the existing policy. Firstly, a statutory body called National Medicinal Drug Regulatory Authority (NMDRA) is to be formulated which is accountable for several activities including registration of medicinal drugs. Medicinal drugs will be registered based on their quality, safety, efficacy, need and cost effectiveness. NMDRA is responsible for maintaining a register of essential drugs, which will have about 1000 to 1500 drugs. Instead of having large number of medicines in various brands, this will enable the NMDRA to focus more on the drugs that are imported in to the country with the available resources, in terms of their quality, safety, efficacy, need and cost effectiveness. The draft NMDP covers very crucial areas in minimizing corruption risk possibilities in the process of medicinal drugs provision. However, the long delay in bringing the proposed NMDP in to the implementation stage is quite unacceptable. Absence of such a national policy is a key reason for the high and increasing corruption risks. The lack of well-designed policies and regulations has no doubt been a motivation for various actors in this sector to engage in unethical and corrupted practices. Therefore, the relevant authorities must work vigorously to implement the NMDP as soon as possible, to restore public confidence and preserve patient welfare. Ministry of Healthcare & Nutrition (2008), Manual on Management of Drugs, Second Revision.